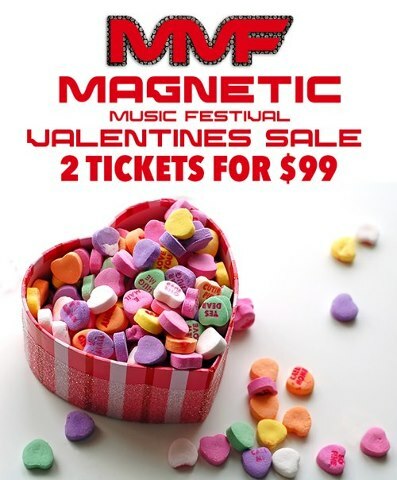 Magnetic Music Festival Tickets are now 2 for $99 today in honor of Valentines Day. You can grab a ticket for you and a special someone for less than a Benjamin. That’s a pretty sweet deal since they are currently selling for $65 each! Better hurry though, sale is only good for Thursday Feb 13 Valentines Day. The Magnetic Music Festival Lineup is already shaping up to be one the of sickest EDM festival lineups the South has seen. Flux Pavilion, Dash Berlin, Zeds Dead, Markus Schulz, Adventure Club, Cazzette, Flosstradamus, Funtcase, Darth and Vader, and Kazell make up the Phase 1 Lineup. Liquified has assured us the next Phase will be even more impressive, so stayed tuned to our EDM Blog and Electronic Dance Music Forum for updates as they are announced for the Magnetic Music Festival in Atlanta.